Co-directed by piano player Adrian Ruiz and percussionist Michael Rodríguez, The Ruiz Belvis Collective is an Afro-Latin Jazz performance ensemble born at Segundo Ruiz Belvis, Chicago’s longest-standing Latinx cultural center. 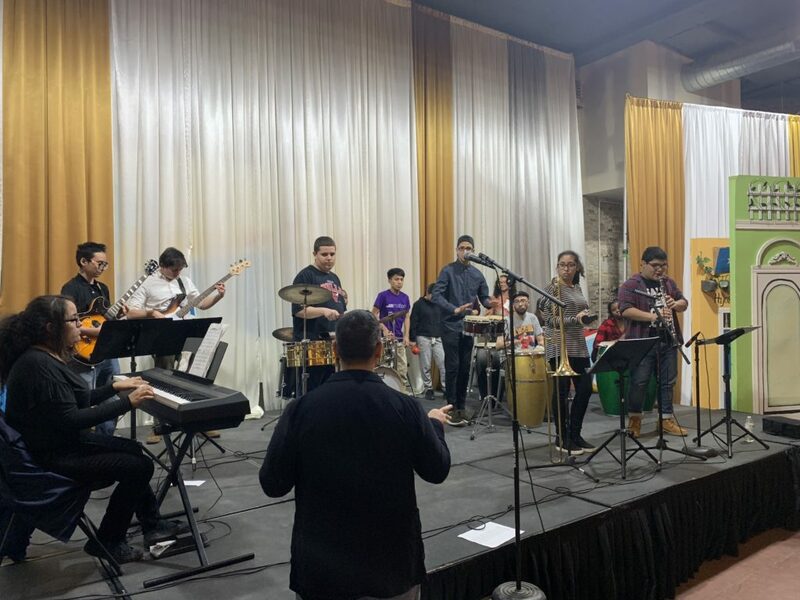 The program incorporates young veterans of Ruiz Belvis’ youth Afro-Caribbean Jazz and Afro-Latin Percussion advanced apprenticeships with guest appearances by the city’s top local and touring Latin music talent. Through a dynamic performance schedule students engage in the business of musical performance, learning to leverage their talents and exposure. SRBCC’s youth music programs have received recent recognition by the 2017 MacArthur International Connections Grant and the 2018 Arts and Culture Grant of The Field Foundation of Illinois. Ruiz Belvis Collective presents its version of “América”, the West Side Story Classic at the Lyric Opera of Chicago. During the second summer of the program, students paid tribute to Puerto Rican composer Rafael Hernández with the Ska Version of “Cumbanchero” re-titled “Ska Fort Rock” and made popular by The Skatalities in 2002.